How much is Rory McIlroy Worth? Rory McIlroy is a Northern Ireland-born professional golfer who has a net worth of $110 million dollars. 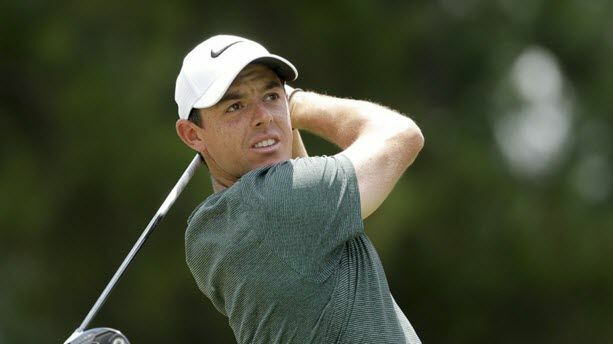 McIlroy won two events during the PGA Tour playoffs, including the Tour Championship, to capture the FedEx Cup and the $10 million bonus that comes with the trophy. The eight-figure check pushed his on-course earnings to $16 million between June 2016 and June 2017. Overall, he ranks #6 on the Forbes’ list of the world’s highest paid sportsmen in 2017. Despite earning a high income in the the golf course, most of his revenue and wealth is generated through his endorsements. McIlroy is one of the world’s highest-earning athletes from endorsements. In 2013 SportsPro rated him the third-most marketable athlete in the world (after Neymar and Lionel Messi). In the same year, Nike signed him for one of the biggest endorsement deals in the world. Although the exact details of this deal have not been revealed it is speculated to be a massive $250 million for a period of ten years. In 2017, the deal was re-negotiated and he signed a 10-year contract worth $200 million with Nike for apparel only after Nike exited the golf equipment business. This allowed him to sign a 10-year, $100 million equipment deal with TaylorMade to use their clubs, ball, and bag. McIlroy replaced Tiger Woods as the face of Electronic Arts’ golf video game in 2015. He also endorses the Jumeirah group, Omega and Upper Deck. His career in the sport began at an exceptionally young age, as his father first introduced him to golf when he was only 18 months old! Since then he has managed to rise steadily into his present place among successful pro golfers. Mcllroy has not been free from controversy in that time, however. He’s been criticized by fans and media for skipping The Players Championship in 2011, when he was one of only two of the top 50 pro golfers in the world not to attend the Championship. He’s also earned criticism for comments made on his Twitter account to golfing commentator Jay Towsend. After Townsend criticized Mcllroy’s course management, he took to Twitter to say that Townsend is “a failed golfer” whose opinion “means nothing”. On July 20th, 2014, Rory became the third youngest person in history to win the British Open, behind Jack Nicklaus (who did it at 24) and Tiger Woods (who did it at 23). McIlroy was ranked #1 in the Official World Golf Rankings for 95 weeks. He became one of only four players to win three majors by the age of 25. He became the youngest golfer to earn 10 million Euro on the PGA Tour. McIlroy won PGA Championships in 2012 and 2014. He won the U.S. Open in 2011 and The Open Championship in 2014. He finished in fourth place at the Masters Tournament in 2014. McIlroy has won more than a dozen titles on both the PGA Tour and the European Tour. He was named PGA Player of the Year in 2012 and 2014 and he was also the PGA Tour leading money winner in those years. How Much is Tiger Woods Net Worth? Hope you like this Rory McIlroy Networth article. If you like this, then please share it with your friends… This above post is all about the estimated earnings of Rory McIlroy. Do you have any queries, then feel free to ask via comment section.